This is the second article in “PowerShell Scripting guide to Python” blog series. If you are new please refer to the part-1 of this blog series for Python prerequisites and to get an idea of what has been covered. The whole idea of this series is to make to link your existing knowledge of Powershell with new concept\syntax of Python as fast as possible. In fast-changing IT scenarios to DevOps to Future (Data Science, AI, and Machine Learning) python is a must know. Both PowerShell and Python provides Date and Time formatting with formatting codes. 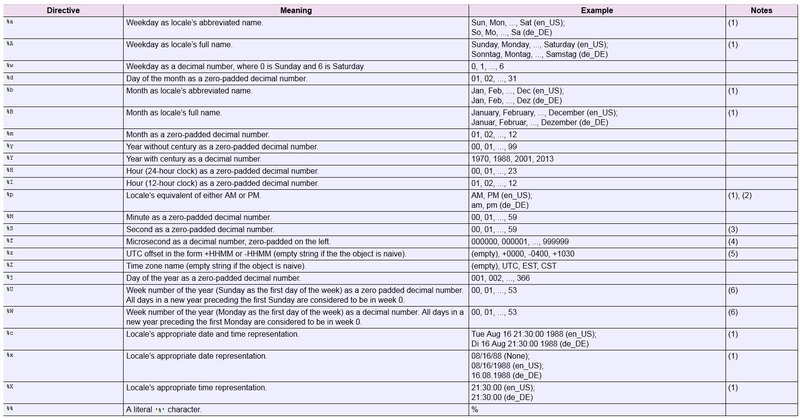 Achieve desirable date-time formatting by utilizing these Format codes. In Powershell, a TimeSpan is a duration expressing the difference between two dates, time, or datetime. Strings are most popular data types in Python can be created by simply enclosing characters in a single or double quote. Single, double or triple quotes. Single quotes (‘) are used to create strings in Python, but Single Quotes are treated the same as double quotes (“) or triple-quoted string is used for creating multi-line strings. Python utilizes something called f-strings which were introduced in Python v3.6. Backslash ‘\’ is a representation of Escape characters in a Python string and can be interpreted in a single, double or triple quoted strings. PowerShell does not interpret Escape characters in Single Quotes, but only in Double quotes. PowerShell provides a ‘-f’ operator called the Format operator to perform string formatting. Python has a similar Built-in .format() method for formatting the strings. Python and PowerShell provide built-in methods for string manipulations, which are up to some extent similar in functionalities. In the Part-3 of this blog series, we would be covering Data structures – List, Tuple, Dictionary, and Loops hence, please stay tuned! I’m missing a Python part in 6 Substring or string slicing.